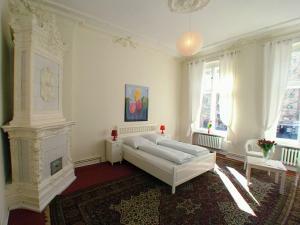 This guest house enjoys a convenient location in Schöneberg, less than a 5-minute walk from Nollendorfplatz and Bülowstrasse Underground Stations. 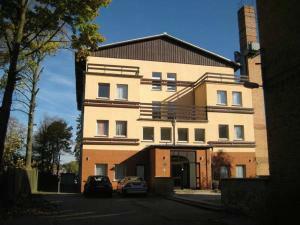 Pension PuschkIn is decorated in neutral colours and features homelike furniture throughout. Many cafés, restaurants and bars serving international food are within 5oo metres of the guest house. 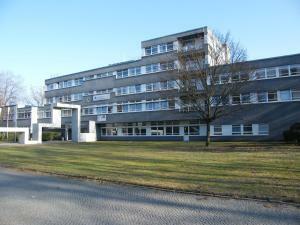 Nearby attractions include the New National Gallery (1 km), Jewish Museum (3 km) and the famous Brandenburg Gate (4 km). 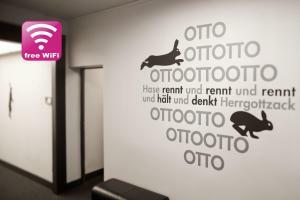 Gay Youth Hostel price per day from €28 Situated in Berlin's vibrant gay district, this hostel for young gay men offers free WiFi and in-room, flat-screen TVs. The brightly furnished rooms of the Gay Youth Hostel have personal lockers. 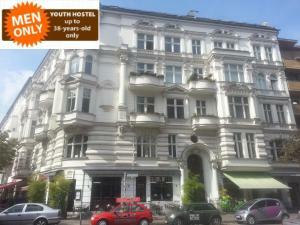 All guests of the Gay Youth Hostel receive a hostel pass granting exclusive discounts. Food can be prepared in the communal room, which includes a refrigerator, microwave oven and toaster. The gay scene of the Schöneberg district lies at your doorstep. 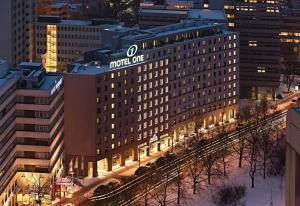 Ibis Berlin Kurfuerstendamm price per day from €54 Just a 2-minute walk from KaDeWe Department Store, the ibis Berlin Kurfuerstendamm offers modern, elegant rooms. Built in 2013, it features free WiFi, a 24-hour bar and a spacious lounge. The soundproofed rooms offer a contemporary design with parquet flooring. A large array of dining options at Wittenbergplatz is right outside the hotel. The many shops around Kaiser Wilhelm Memorial Church are just a 5-minute walk away. 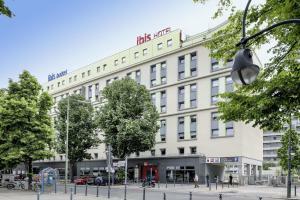 Ibis budget Berlin Kurfürstendamm price per day from €41 Located just off Berlin’s most popular shopping area, this hotel offers stylish, air conditioned rooms. 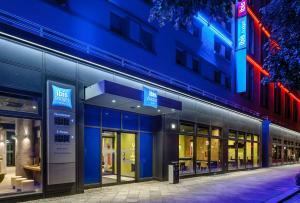 The Ibis Budget Berlin Kurfürstendamm features a trendy lounge and free WiFi. 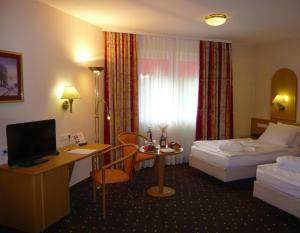 The bright, light-flooded rooms feature a modern décor, and come with satellite TV and a desk. A breakfast buffet is served in the lounge and a large selection of international restaurants, cafés and bars are located just 100 metres away. 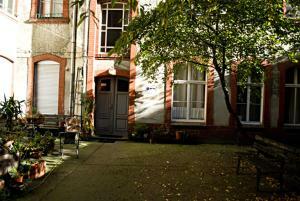 Restaurant Maharadscha, Berlin Guest reviews: 9/10 ~ 0,8 km from Pension Puschkin Address: Fuggerstreet 21, 10777, Berlin. Cuisine: Indian. Restaurant Bar Katia & Dani, Berlin Guest reviews: 9,8/10 ~ 1 km from Pension Puschkin Address: Motzstr. 52, 10777, Berlin. Cuisine: Italian. Restaurant KaDeWe 6th Floor, Berlin Guest reviews: 9/10 ~ 1,2 km from Pension Puschkin Address: Kaufhaus des Westens, 10789, Berlin. Restaurant Jacob's Bar & , Berlin Guest reviews: 9,2/10 ~ 1,3 km from Pension Puschkin Address: Nurnberger Strasse 14-15, 10789, Berlin. Cuisine: Mediterranean. Restaurant Caffe e Gelato, Berlin Guest reviews: 9,4/10 ~ 1,5 km from Pension Puschkin Address: Alte Potsdamer Str. 7, 10785, Berlin. Cuisine: Ice Cream.